Is Shopify Inc (SHOP) A Good Stock To Buy? 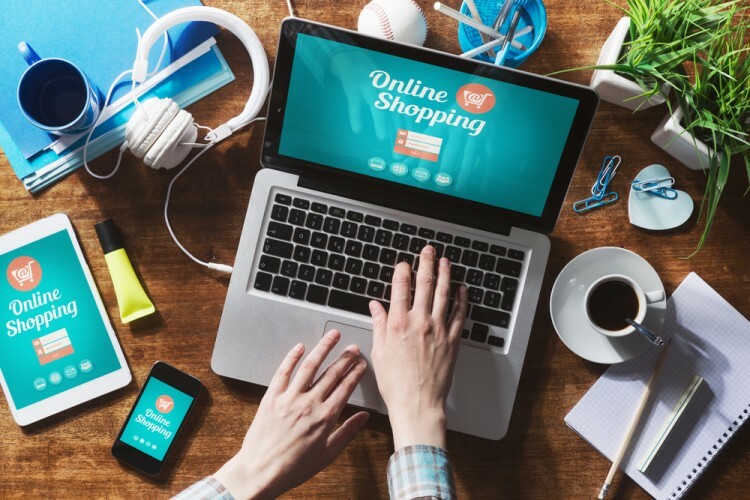 Is Shopify Inc (NYSE:SHOP) a great investment today? The best stock pickers are turning bullish. The number of bullish hedge fund bets inched up by 7 lately. SHOP was in 31 hedge funds’ portfolios at the end of the third quarter of 2016. 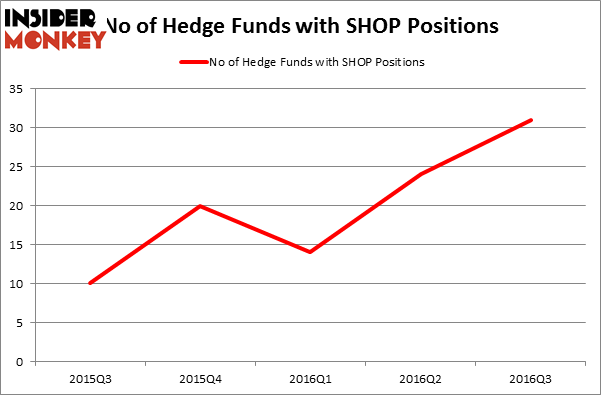 There were 24 hedge funds in our database with SHOP positions at the end of the previous quarter. The level and the change in hedge fund popularity aren’t the only variables you need to analyze to decipher hedge funds’ perspectives. A stock may witness a boost in popularity but it may still be less popular than similarly priced stocks. That’s why at the end of this article we will examine companies such as Hilltop Holdings Inc. (NYSE:HTH), INC Research Holdings Inc (NASDAQ:INCR), and Northstar Realty Finance Corp. (NYSE:NRF) to gather more data points. How have hedgies been trading Shopify Inc (NYSE:SHOP)? At the end of the third quarter, a total of 31 of the hedge funds tracked by Insider Monkey held long positions in this stock, an increase of 29% from one quarter earlier. With hedgies’ positions undergoing their usual ebb and flow, there exists an “upper tier” of notable hedge fund managers who were increasing their holdings considerably (or already accumulated large positions). Of the funds tracked by Insider Monkey, Abdiel Capital Advisors, managed by Colin Moran, holds the number one position in Shopify Inc (NYSE:SHOP). Abdiel Capital Advisors has a $109.8 million position in the stock, comprising 32.3% of its 13F portfolio. The second largest stake is held by Light Street Capital, led by Glen Kacher, holding a $63.5 million position; 6.4% of its 13F portfolio is allocated to the stock. Some other peers with similar optimism comprise Alex Sacerdote’s Whale Rock Capital Management, Jim Simons’ Renaissance Technologies and Ken Griffin’s Citadel Investment Group.